Windham gets an unexpected home match, and takes advantage with a sweep. WINDHAM — For the second time this season, Windham’s volleyball team had a road game become a home game. 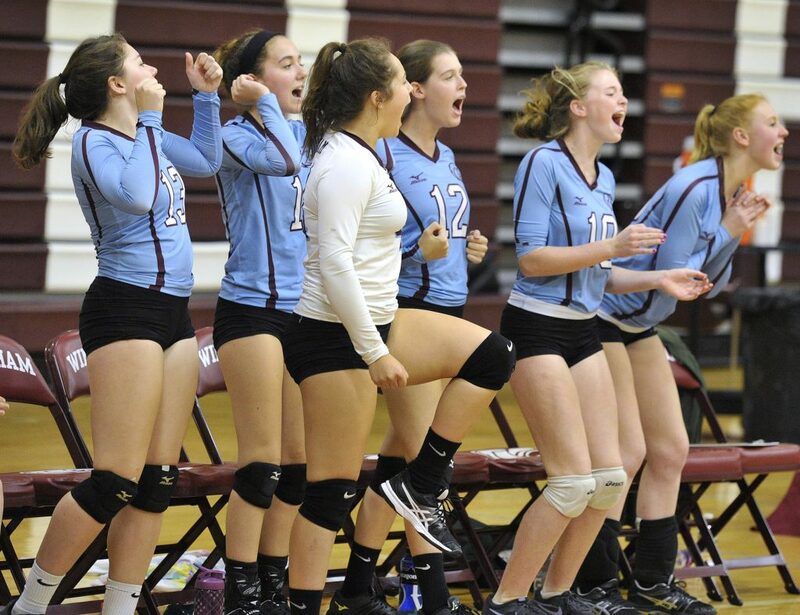 On Tuesday night, the Eagles took advantage, beating Thornton Academy 3-0 (25-12, 25-18, 25-19). Thornton Academy’s Linnell Gymnasium had a broken curtain, forcing the game to be moved to Windham. The Eagles (6-4) remained in seventh place in the Class A Heal point standings. The game-day switch seemed to benefit Windham, which came out with a lot of energy and led for the entire first set. Alexis Budroe and Sierra Guite combined for seven kills and setter Megan Fleck had seven of her game-high 18 assists. The Eagles didn’t face a disadvantage until Thornton Academy (4-6) took a 6-5 lead in the second set. 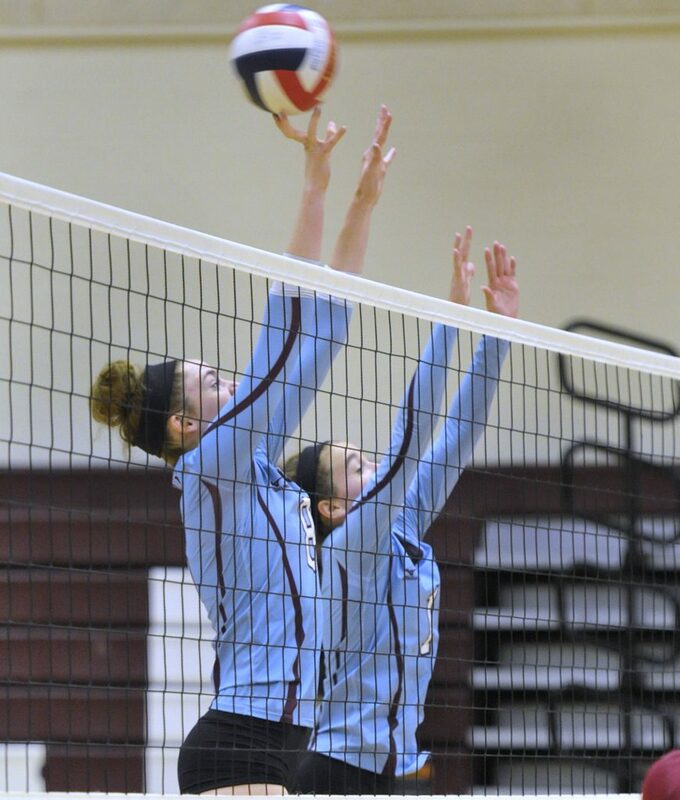 Windham didn’t allow the Golden Trojans to gain any momentum as Morgan Proulx, Kaitlyn Gedicks and Guite all had kills in the middle of the set to always stay with one. 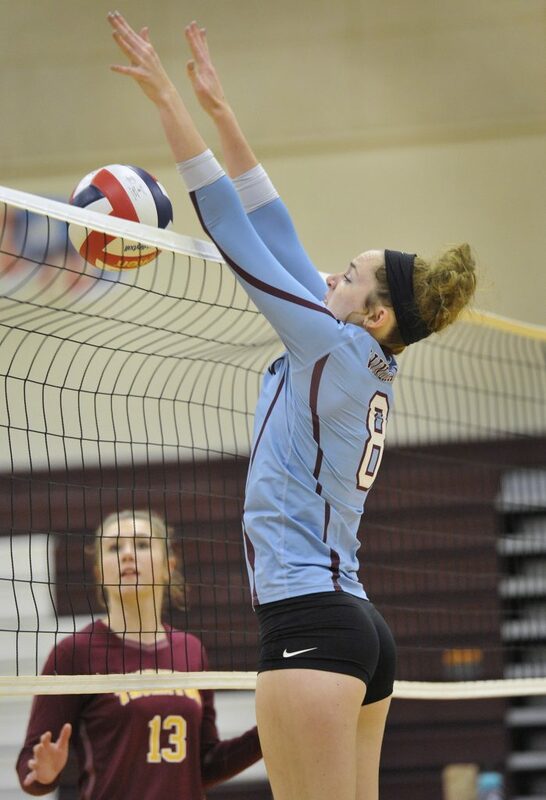 Another Guite kill, from a Fleck pass, and Gedicks’ three straight service points gave the Eagles a 14-11 lead en route to a 2-0 cushion in games. “I wouldn’t consider (the 3-0 win) easy,” said Proulx, who finished with six kills. “This was definitely a mental game for us for sure because sometimes we get down on our energy. 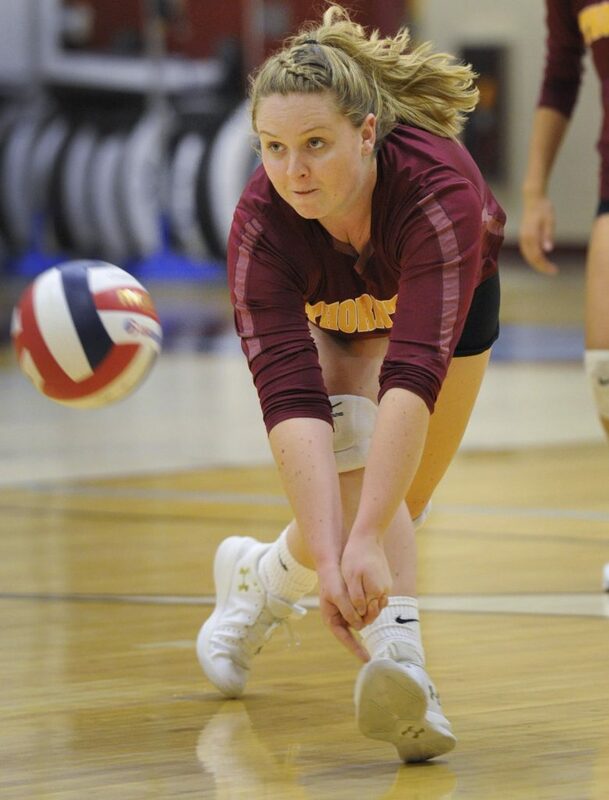 The defense, which continually got the serve back with hustle plays and dives, was led by nine digs by Proulx and eight from Budroe; Guite (three blocks) and Meghan Harmon (two blocks) were strong at the net. 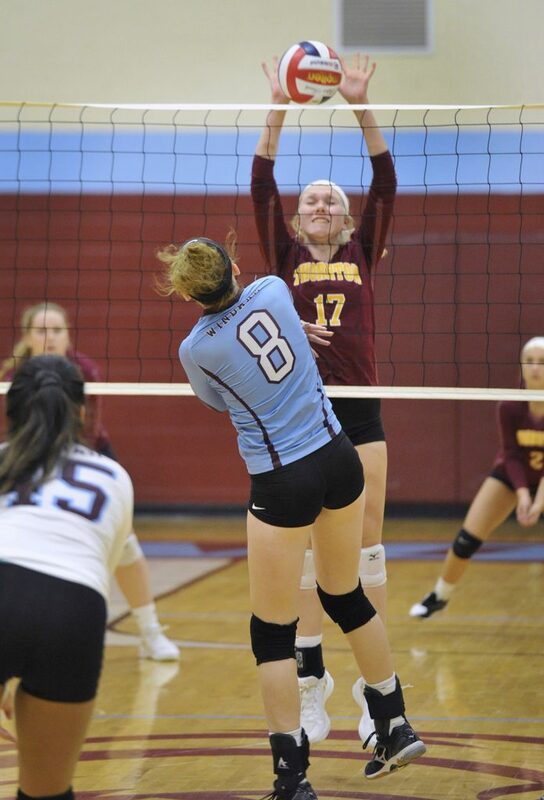 Thornton came out strong in the third set, grabbing its first lead of more than one point when Laura Fortier converted two of her team-high eight kills – both from setter Olivia Howe (14 assists) – for a 3-0 edge. Windham got back into the game and took control when Proulx served five straight points for an 18-9 lead. 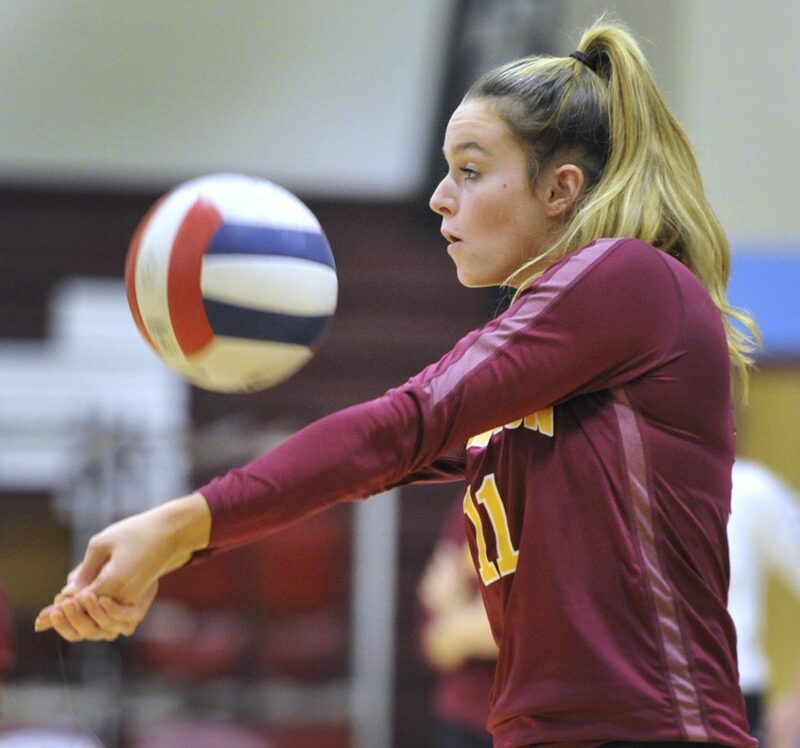 The Trojans moved to within four points at 20-16 when Johnna Scott (five kills) served three points in a row, thanks to back-to-back blocks by Amelia Pellerin. Windham Coach Chris Cloutier called a timeout, and Scott’s next serve went into the net as the Eagles went on for the straight-set victory.